Packed with avocado oil, cucumber oil and Brazilian ginseng extract to reduce the appearance of dark circles, puffiness and fine lines. Bulldog is man's best friend. This unique formulation contains our special blend of avocado, cucumber and borage oils and Brazilian ginseng extract, millet seed and oak apple tannins. 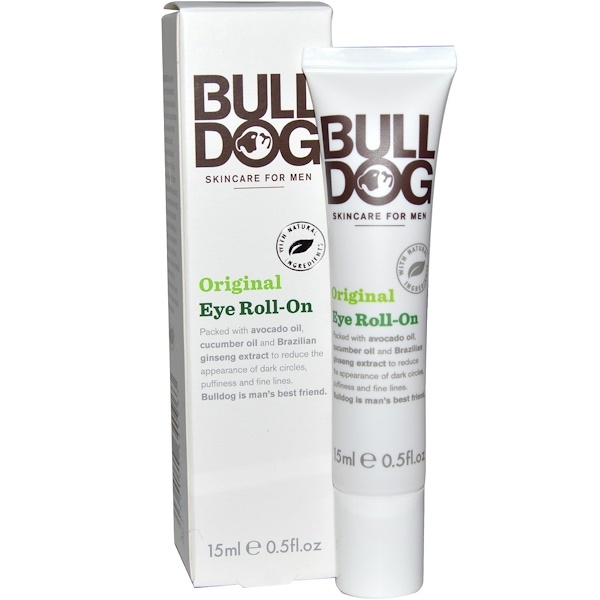 The cooling roller black dispenser make it quick and easy to apply the cream to the area under the eye. I scream, you scream, we all scream for eye cream. Or so the famous say goes. Well, it's famous in our house anyway. Be loyal to your skin. 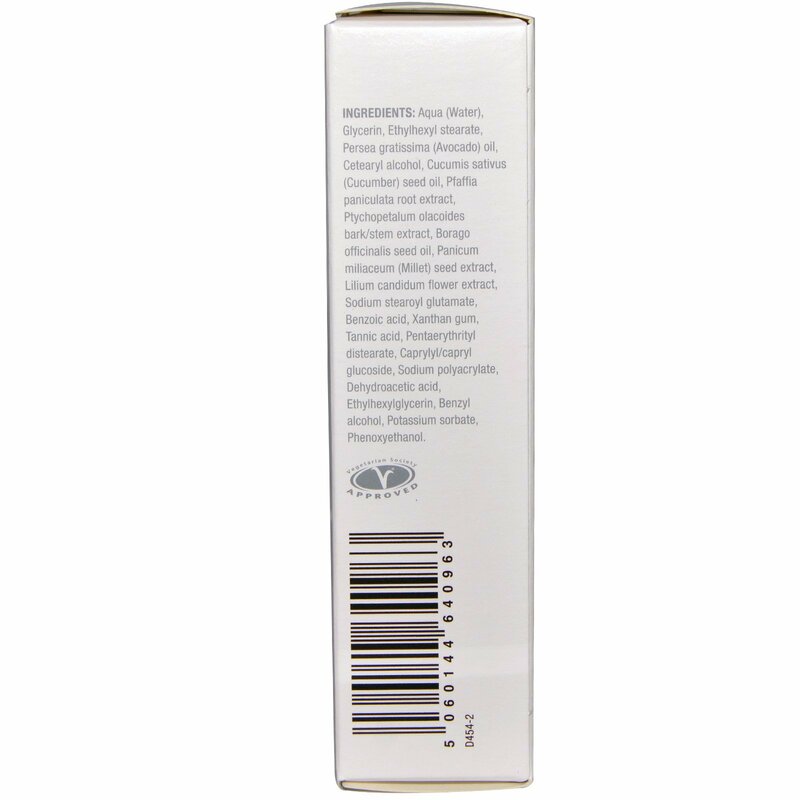 Our products never contain artificial colors, synthetic fragrances, or ingredients from animal sources. Use morning and evening. Apply directly onto the area under your eyes. Aqua (water), glycerin, ethylhexyl stearate, persea gratiissima (avocado) oil, cetearyl alcohol, cucumis sativus (cucumber) seed oil, pfaffia paniculata root extract, ptychopetalum olacoides bark/stem extract, borago officinalis seed oil, panicum milliaceum (millet) seed extract, lilium candidum flower extract, sodium stearoyl glutamate, benzoic acid, xanthan gum, tannic acid, pentaerythrityl distearate, caprylyl/capryl glucoside, sodium polyacrylate, dehydroacetic acid, ethylhexylglycerin, benzyl alcohol, potassium sorbate, phenoxyethanol. Avoid contact with eyes. 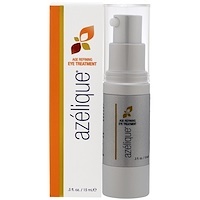 If product get into eyes rinse with water immediately.